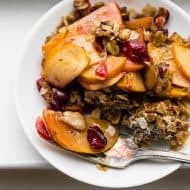 This vanilla sugar peach crisp is baked in tiny mason jars and is the perfect combo of peaches and sweet vanilla sugar. Eat warm out of the oven or with a scoop of vanilla ice cream. I will admit this. I love mason jars. They are cute, functional and totally crafty. Even though I don’t have a crafty bone in my body I see a mason jar and I feel like freaking Martha Stewart. My love for mason jars and Martha Stewart helped me put this post together. As I stared at a table full of jars I realized I should start cooking inside these adorable little vessels. Who doesn’t love a little edible on the go container? Plus, again, it’s really super cute. As I rooted around in my pantry I found a little neglected bag of vanilla sugar that was begging to be used. So I decided I would pair it with the few remaining peaches sitting on my counter. It was a match made in heaven. The type of match that will last forever. It’s no summer love, it’s a forever love. Great. Now I have Summer Lovin’ stuck in my head. Thanks John Travolta. 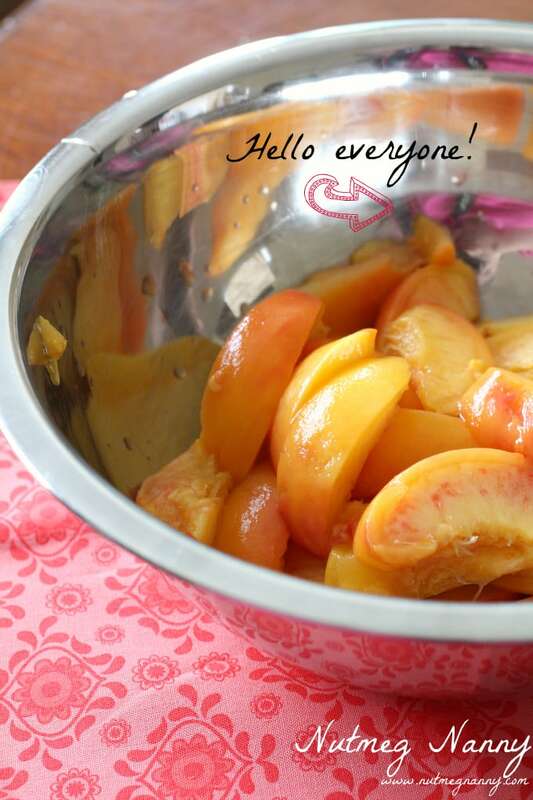 So, back to mason jars, peaches and vanilla sugar. I used my little 4 ounce jelly jars but really use any smaller sized mason jar you see fit. I’m sure they will all work. For the topping I used one of my favorites. It’s from Ina Garten and it’s the bomb. Who else loves Ina Garten? I think it’s my dream to get invited to one of her little dinner parties. At the end of the party I imagine we would all sit around awkwardly giggling and talking about Jeffery’s love of roast chicken. I’m so random today. Make the crisp. Eat the crisp. Love the crisp. Also, don’t forget to love the mason jars. They are super cool. 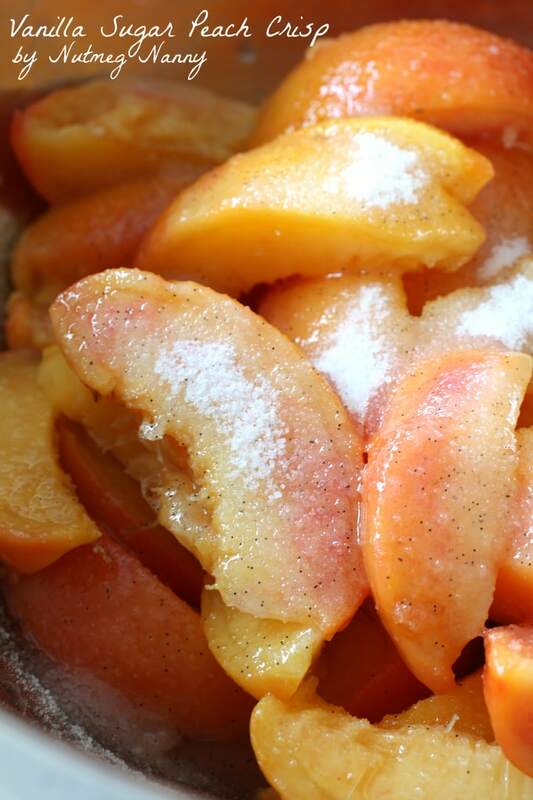 Toss peaches with the vanilla sugar, pie filling enhancer or flour and pinch of salt. Let them sit for at least 5 minutes to release juices. 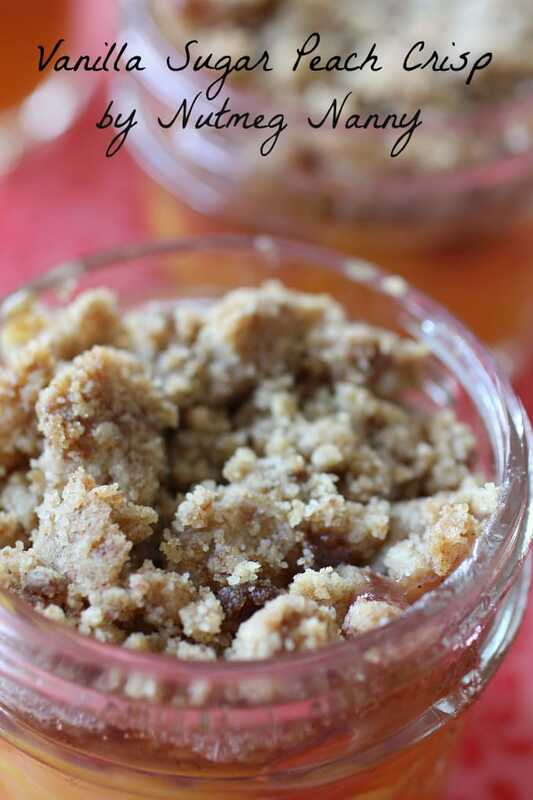 Spoon equal amounts into small 4 ounce clean mason jars or ramekins. Top equally with topping and bake for 20-25 minutes until the crisp is golden brown and delicious. Tip:I put my little jars on a small silcone pat lined baking sheet before baking. This not only stopped them from sliding but if they overflowed it made for easy cleaning. *No vanilla sugar? Just use 3 tablespoons of regular white sugar and add one of the following: 1 teaspoon vanilla extract, 2 teaspoon vanilla paste or 1/2 scraped vanilla bean. **You can always substitute 1 tablespoon flour if you prefer. I love Mason Jars too – so beautiful! And yet functional. Happy sigh. Love the cute reflection of you in the bowl – I’m always appearing in serving spoons and things in my photos! 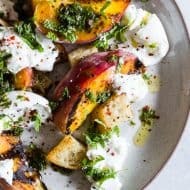 Finally: the recipe sound delicious, and looks adorable! Cute, little, tasty–what’s not to love! 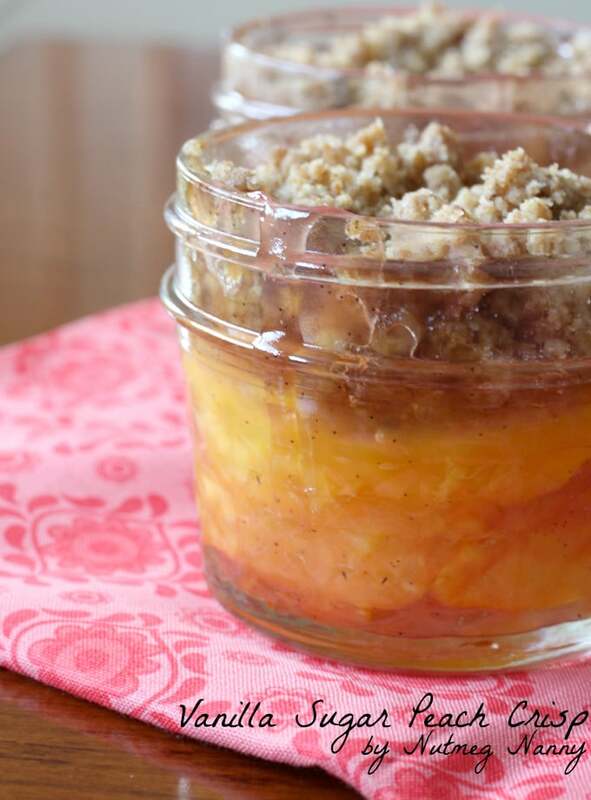 mason jars are pretty much where it’s at 😉 this peach crisp looks absolutely amazing…. YUM. i love seeing those flecks of vanilla bean! terrific crisp, brandy! 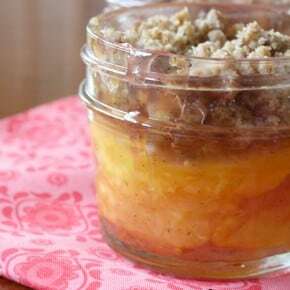 Have you ever tried pie in mason jars? Have you frozen these little beauties? Any recommendations? 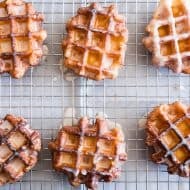 I will be making these little beauties today, however, do not plan on eating until this weekend. Ok to place caps on after they are cooled? Then reheat before enjoying, via oven or microwave? Would appreciate your input. Hi, Candice! I hope you enjoy the little crisps. Here are a few different options: make them up, (don’t bake them!) put a lid on them and then just bake them fresh when you’re ready to serve. This is probably what I would do as they will stay fine unbaked in the fridge for a few days. Or you could make them today, put a lid on them and maybe just crisp up the top again in the oven right before serving. They are fine served room temperature but the topping could soften slightly if it sits for too many days. Hope this helps!